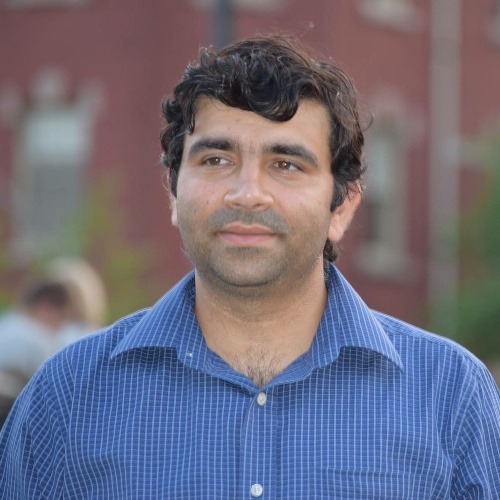 Rajkumar Verma, Ph.D., UConn Health assistant professor of neuroscience, has received a prestigious career development award ($231,000) from the American Heart Association to study the therapeutic potential of purinergic receptor P2X4R for the treatment of stroke. Stroke remains a leading cause of disability in the United States. Despite recent advances, interventions to reduce damage and enhance recovery after stroke are lacking. Stroke-mediated disability imposes a substantial economic burden on individuals and society. In 2010 alone, Americans paid approximately $73.7 billion for stroke-related medical costs and disability; this is estimated to reach $185 billion by 2030. Thus, treatment of stroke is one of the most important current and future public health issues, with an urgent need for therapies that can move rapidly into clinical trials. Dr. Verma has recently shown that purinergic receptor P2X4, a receptor for adenosine triphosphate ATP, regulate activation of myeloid immune cells (infiltrating monocytes/macrophages and brain-resident microglia) after stroke injury. Over- activation of P2X4Rs, due to ATP from the dying or damaged neuronal cells, contributes to ischemic injury. In this proposal, Dr. Verma’s intent is to target P2X4R to control immune response of myeloid cells for prompt stroke recovery. He will determine how the inhibition of P2X4R signaling influences these excessive immune during stroke using mice genetically engineered for global or selective deletion of P2X4R in total myeloid or infiltrating myeloid population and also by using pharmacological modulation. Thus, the overall goal of this proposal is to determine if modulation of P2X4 signaling in myeloid cells is a viable approach for stroke treatment.